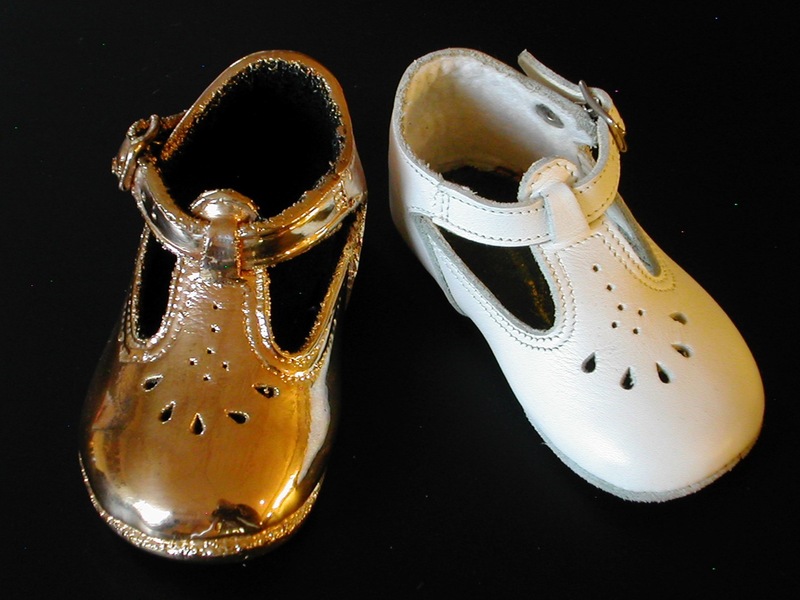 Bronze plating and silver plating of children’s shoes is an ancient craft. Eighty years and probably longer ago, this was already done in a primitive way. EMBI has developed a modern production method enabling us to deliver top quality. 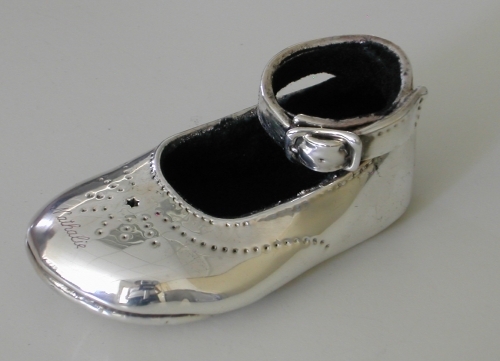 The idea behind coating children’s shoes with a layer of metal is to ‘immortalize’ it in its present state. It is a lasting souvenir of those touching first years of your infant. 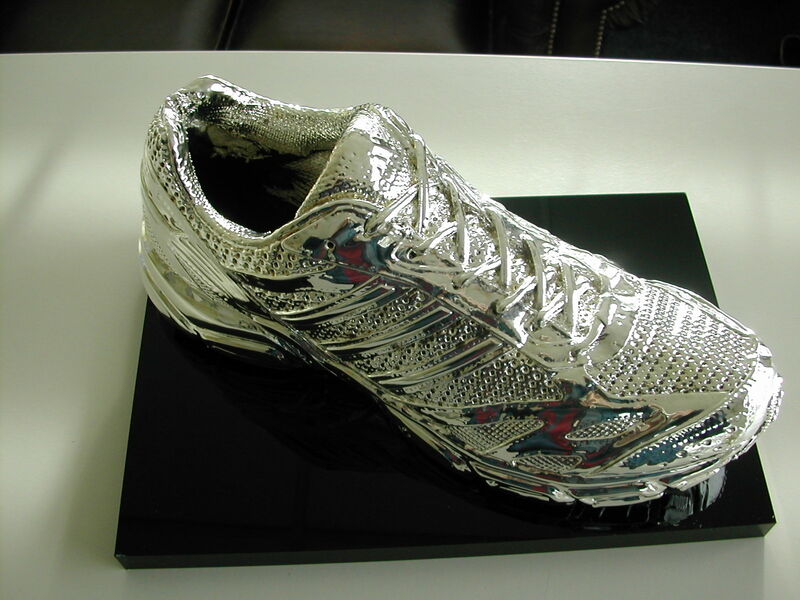 The wear and tear of the original shoe can still be seen after applying the metal coating. 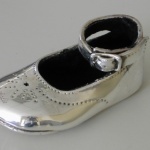 Naturally we make sure that the shoe is in proper shape before the metal coating is applied. 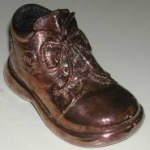 As a basis we apply a layer of copper on the shoes before we put on bronze, silver or gold plating. In principle all types of shoes can be treated , but the type of shoe is indicative of the final result. 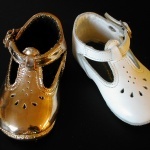 That is why we advise you not to put silver plating on a shoe made of suede, textile or other rough materials but instead to use bronze or gold plating. Experience has shown that this gives the best results. 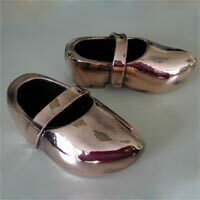 Besides children’s shoes we can also apply bronze, silver and gold plating on bigger shoes such as sports shoes, ballet shoes, soldier’s boots, mountaineering boots, walking shoes, etc. 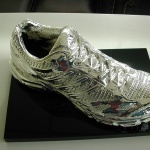 For example each year we produce the golden shoe for the ‘Dutch Soccer Player of the Year’. * first name = 1 engraving, first name and surname = 2 engraving.